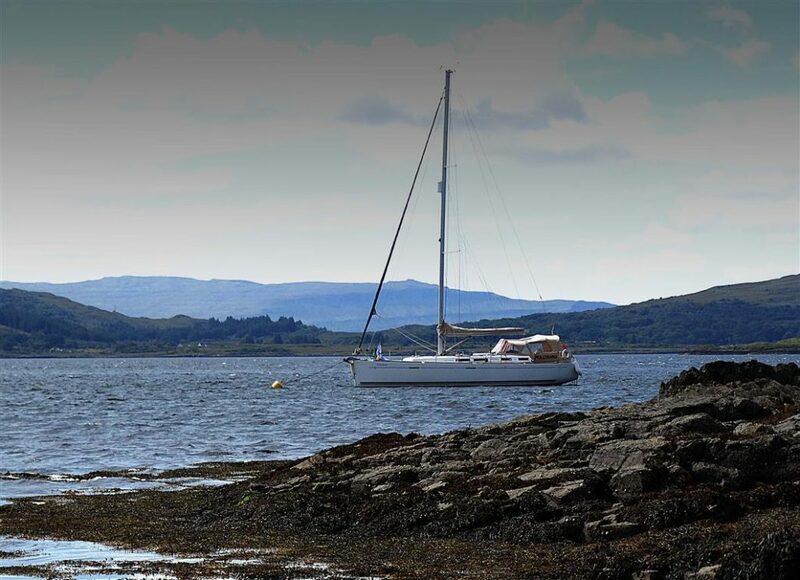 The Dufour 425 has been designed for performance cruising and is ideal for longer passages but is easy to handle for a leisurely afternoon cruise. 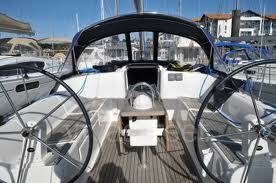 She is stylish, comfortable, seaworthy and built from cutting edge technology. 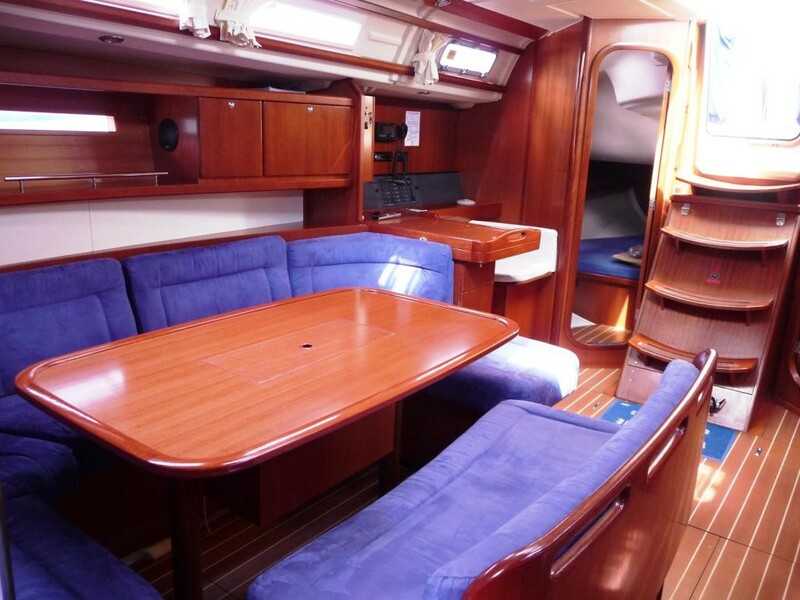 Dufour are renowned for building yachts to a specification rather than a price and this is evident everywhere on this yacht – she just exudes quality. 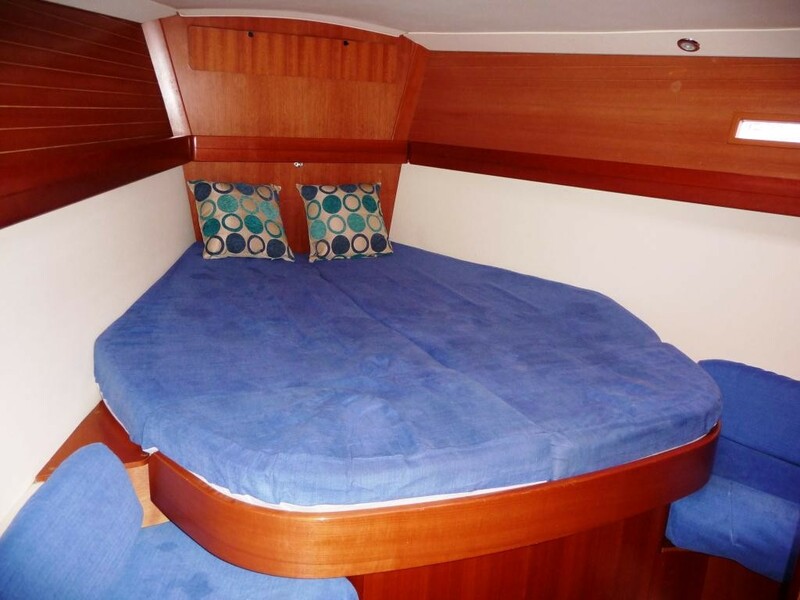 The 425 offers maximum comfort for 8 with 3 cabins and 2 heads. 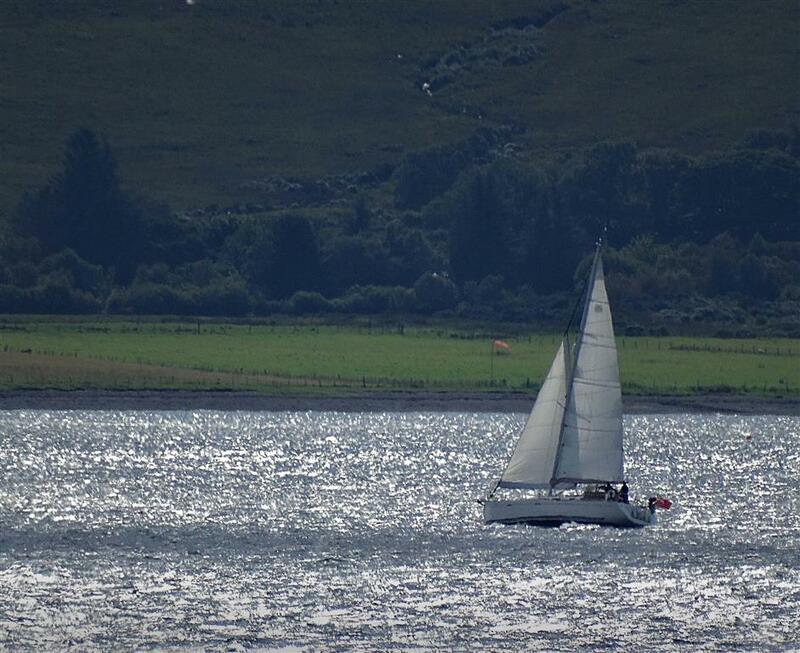 The yacht is an ideal size for families and large groups yet is easy to sail short-handed. 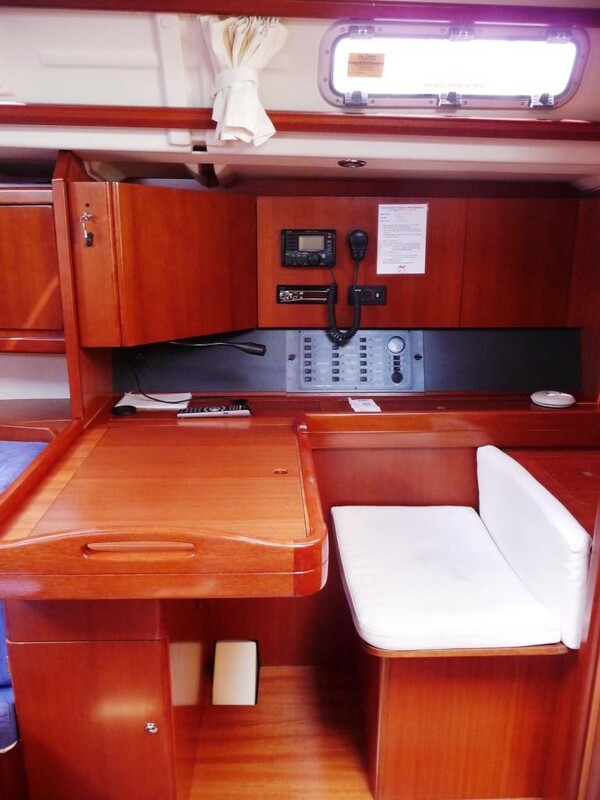 This yacht comes with all mod-cons such as heating, microwave, TV/DVD player and much more! 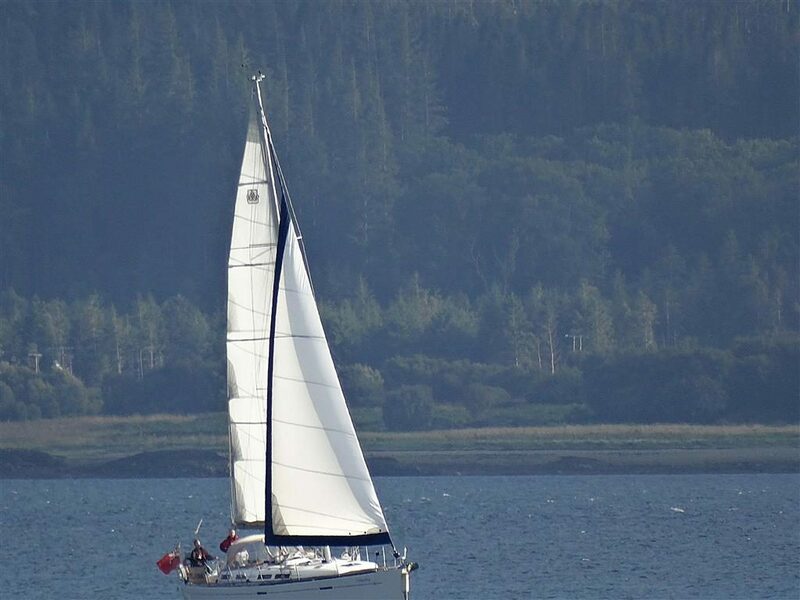 The powerful 55hp Volvo engine pushes her along effortlessly on those windless days and she answers the helm beautifully ahead and astern which makes entering and leaving a marina very easy. 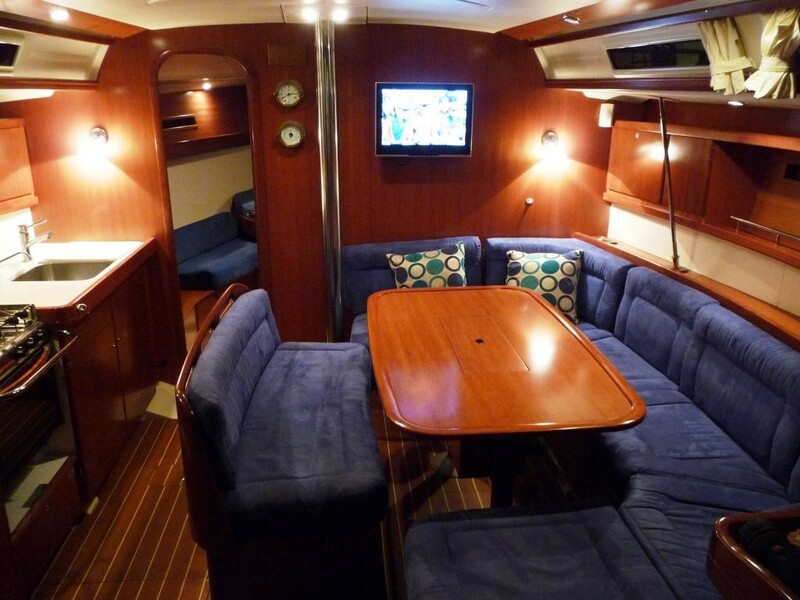 The roller reefing has been replaced with a new system that is much easier to manage – the genoa on this yacht is where all the power lies. 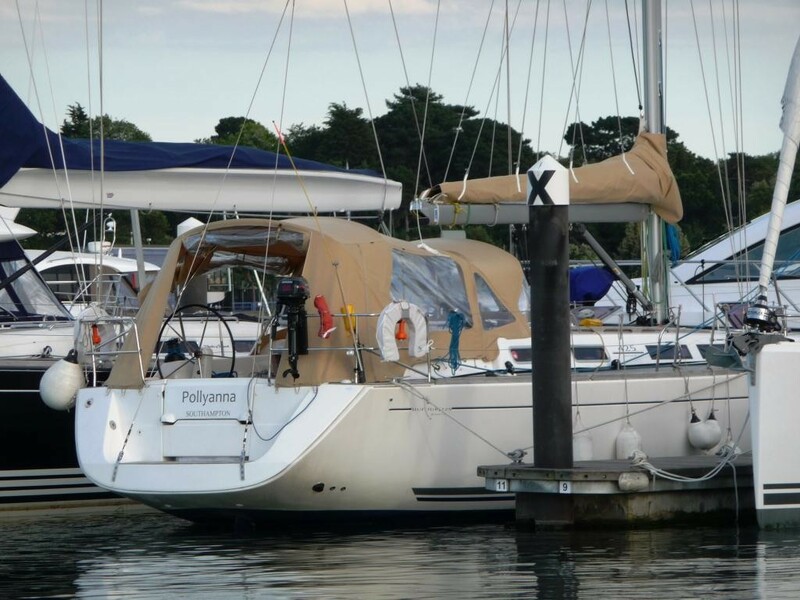 The large spray hood offers protection from the elements and the lazy jacks make hoisting and lowering the mainsail a breeze Pollyanna is a stylish and comfortable boat that you will be proud to be seen aboard. If the weather is a little ‘dreich’ then the complete cockpit tent can be erected in a few minutes giving a huge amount of dry, heated outdoor space.